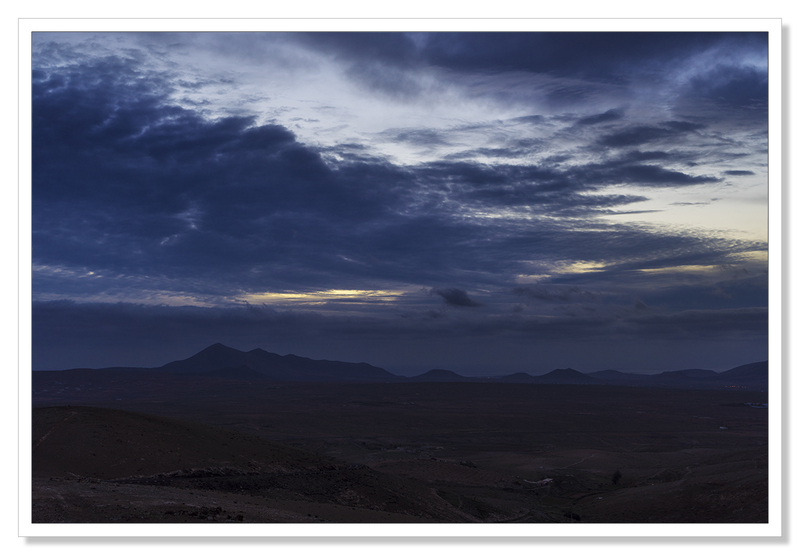 On my recent visit to Fuerteventura, I decided one morning to get up very early and drive into the mountains to wait for dawn. I didn’t have any particular destination in mind but given the island’s landscape, I knew if I took a mountain route, I was bound to find a photograph or two. 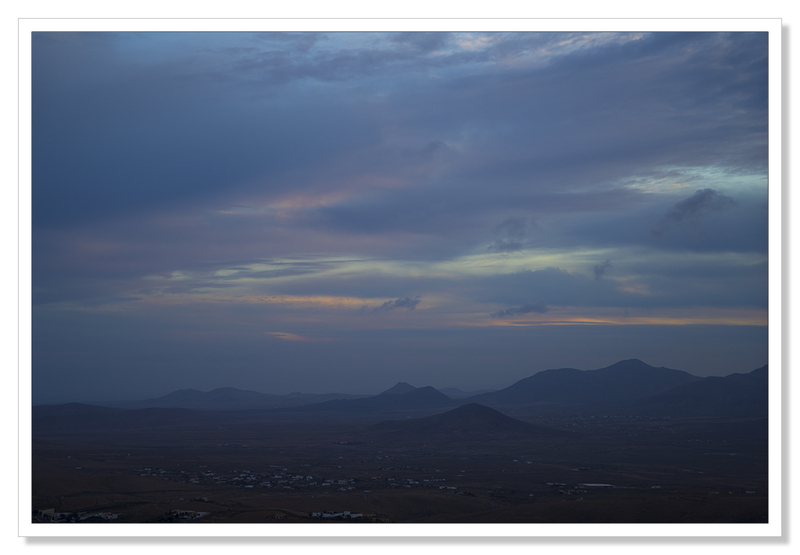 The following pictures were taken during the blue hour, the hour between first light and the actual rising of the sun when the light is very much at the blue end of the spectrum. Next time I’ll post a few more pictures from the mountains taken as the sun started to rise and the light and colours changed significantly.. This entry was posted on March 24, 2016 by Chillbrook. 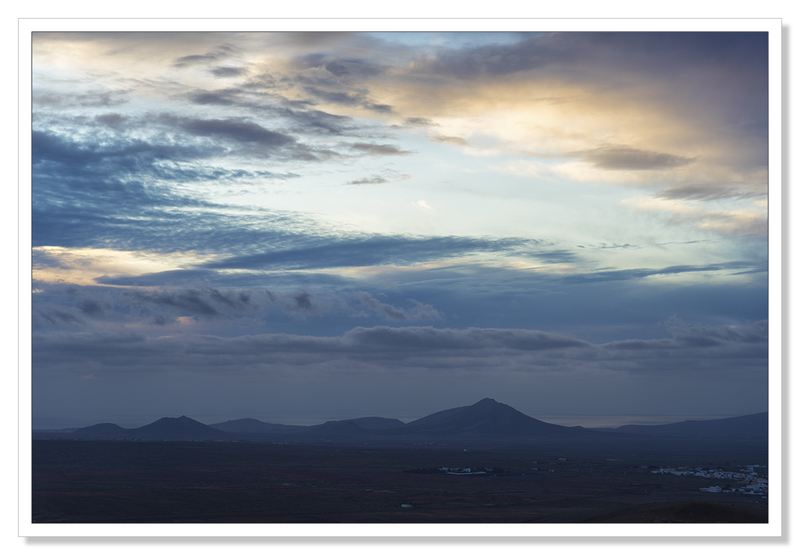 It was filed under Photography, Photography and Travel and was tagged with Adrian Theze, Blue Hour, Cornwall Photographic, Dawn, Fuerteventura, Landscape Photography, Mountains, Photography, Spain, Sunrise. Beautiful, subtle blue notes. 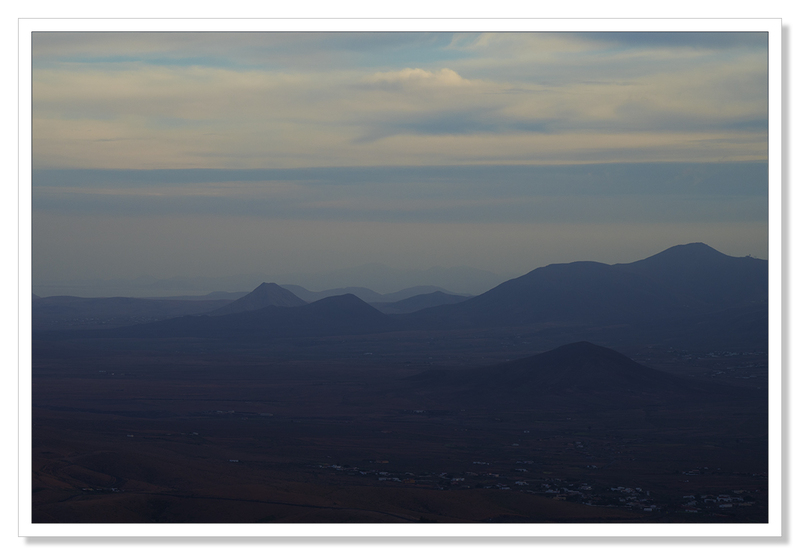 I’ve only experienced the island from the perspective of the Corralejo dunes, so it’s very refreshing to see this side to Fuerteventura. I hope to see it one of these days! They’re very serene Adrian :-) Yes, Simon and I love just driving up and around the mountains on Kos admiring the different views. It’s easy to lose yourself following the little dirt tracks and we love the peace and quiet of it :-) These images really reminded me of doing that. Thank you Sarah. I think this is the beauty of traveling independently, hiring a car and just exploring. It can be so rewarding! You’re so right! It’s why we don’t do package deals. I like to really explore the part of the world we’re in :-) That’s the whole point of travelling for me! Great pictures . It’s such a beautiful Island, I love how it changes throughout the day with the light, Have you had a chance to visit the sand dunes on a full moon? Now, that is strange, it’s like being on another planet. Thank you, I haven’t. I can imagine that would be quite spectacular! 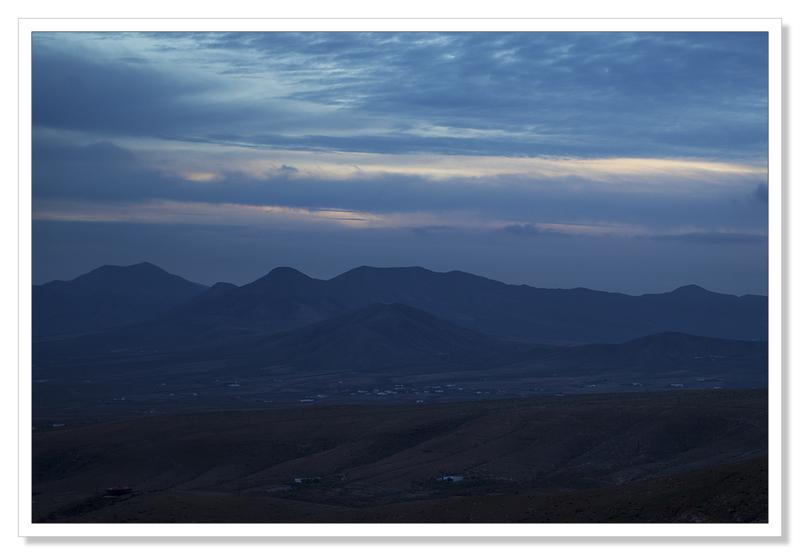 These images are proof, if any was required, that the term ‘blue hour’ exists. Worth the early trip although it looks as it didn’t end in a spectacular sunrise. Thanks Andy! You’re right, the sunrise wasn’t as spectacular as I’d hoped but as the sun came up, it was interesting to see how the light changed the colours in the landscape. I’ll be posting further. Beautiful images, Adrian. Love the subtle shades of blue. Oh, love it…I’m quite partial to blue hour light myself! It looks like an otherworldly landscape… Mars?! I love the light in these skyscapes. My artist eye coverts them! Serene and ethereal Adrian. Love that you knew there’d be a photo out there somewhere LOL. The blue hour is fascinating but difficult to capture. You did a great job ! Thank you very much Gin. Yes it can be quite tricky. A tripod is usually essential I feel but on this occasion, I was shooting with my Sony A7R. I really didn’t want to raise the ISO because of noise so I had to open the aperture, to the detriment of depth of field, and slow the shutter as far as I dared. I’m quite pleased with the results however. The Sony does perform very well in low light.